The Sceletium Source is committed to respecting your privacy. The Sceletium Source is the sole owner of the information collected on this site. The information collected on this site is not shared, sold, rented out or given away to any third party ever. Customer details will be stored by Sceletium Source separately from card details which are entered by the client on DPO PayGate’s secure site. Our primary goal in collecting personal information from you is to provide you with a smooth, efficient, and personalized experience while using our services. To fully use our services, you will need to register using our online registration form, where you will be required to provide us with your contact and other pertinent information. We use IP addresses to administer the site, track page views and the click-through activity of links, and gather broad information for internal use. IP addresses are not linked to personally identifiable information. This information may include the URL that you just came from (whether this URL is on our site or not), which URL you next go to (whether this URL is on our site or not), what browser and operating system you are using and your IP address. This site contains links to other sites. Please be aware that The Sceletium Source is not responsible for the privacy practices of these other sites. We encourage you to always read the Privacy Statement of any site that collects personally identifiable information. This Privacy Statement applies solely to information collected by The Sceletium Source. Card transactions will be acquired for Sceletium Source Africa via PayGate (Pty) Ltd who are the approved payment gateway for all South African Acquiring Banks. DPO PayGate uses the strictest form of encryption, namely Secure Socket Layer 3 (SSL3) and no Card details are stored on the website. In order to process payments online we require the billing address for the credit card used, as well as your shipping address and other contact details. Our external card processor, a registered Payment Service Provider (PSP), requires your credit card details. Your credit card information is protected by Secure Socket Layer (SSL) encryption. 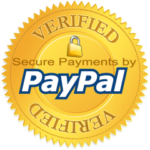 While on our processor’s secure payment page, you will see a locked padlock in your browser and will notice that the URL begins with “https” indicating that you are in a secure environment. Please note that The Sceletium Source does not personally collect or store your credit card details. We use your email address to send you newsletters or other communications. We honour all requests to opt out of these communications. This site also offers a service whereby you can email site content (for example, details on a particular product) to a friend or colleague. This will involve entering your friend’s email address. We do not use this email addresses for any purpose other than to send your email. We do not store or disclose these email addresses. We may use information about you, and other information we obtain from your activities on the site, to resolve disputes, troubleshoot problems and enforce our User Agreement. At times, we may look across multiple users to identify problems or resolve disputes. You should not disclose your username or password to any third parties. If you lose control of your password, you may lose substantial control over your personally identifiable information and may be subject to legally binding actions taken on your behalf. Therefore, if your password has been compromised for any reason, you should immediately change your password on our site. You can log into your account and immediately assign a new password. Click on “Account Maintenance” once you are logged into your account. Our site is designed with numerous precautions to protect users’ information. Customer information is appropriately protected in-house as well as online. In addition, access to users’ information is restricted within our offices. Only employees who need the information to perform a specific job are granted access to personally identifiable information. All employees are kept up-to-date on our security and privacy practices. Finally, the servers on which we store personally identifiable information are kept in a secure environment.